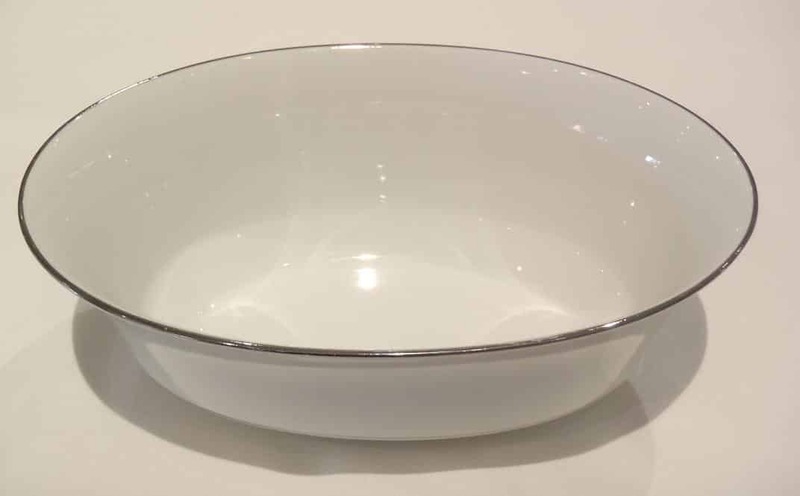 This is a serving type bowl. All dishes come to you you clean and ready to use. All that we ask of you before return is that you rinse the dishes and return them in the crate or box in which it came to you. SKU: PBC03. Categories: Party & Event, Serving Equipment, Dishes. Tags: china, oval bowl, serving bowl. Flatware rented from us comes to you clean and ready for use. You don’t even have to wash it when you’re done! After use, the flatware simply needs to be rinsed off. This is a 17″ serving platter. All dishes come to you you clean and ready to use. All that we ask of you before return is that you rinse the dishes and return them in the crate or box in which it came to you.